Nothing says "Epic" like a tank that fights like a battleship! Welcome to the Maus, (AKA Panzer VIII, Mammoth or. THE BIG BAD BRICK) doctor Ferdinand Porche’s crazy vehicle. The final German heavy tank and the heaviest AFV ever made! This tier X tank is a great vehicle in every battle type, especially clan battles. The Maus starts fully elite and the only thing you can do to improve it is to get your crew to 100% and spend money on modules and consumables. It’s the tank with THE most HP in the entire game, and bringing that HP down will require at least tier 9 guns… the armor on the tank is insane. Numerous times an imperial star cruiser (GW Tiger) has bounced using holy depleted-uranium rounds (AP). The MAUS itself has a decent enough gun, although it doesn’t penetrates much as the guns of the IS7 and T30 it is much more accurate. By the way, you might have noticed a second smaller gun (it is a 75mm) and it will be activated in a future patch. However, the tank is pretty slow, but considering its tonnage that’s normal. Another bad side is its money-making capabilities, which are virtually non-existent. Even if you are the best bloody player who manages to kill the entire enemy, you will be just in the clear unless with premium. Then you might make some profit if you are good with it, but don't expect much. Camouflage: The thing is the size of Everest, what do you expect? Its invisible! Use your VK4502 crew, it will save you some rage cells. The frontal armour is nearly impenetrable for all weapons in existence. When you use the terrain to slope the side armour it is just as hard to penetrate. As with all tanks you can try to flank it, but even then there is a chance that your shell will bounce off. 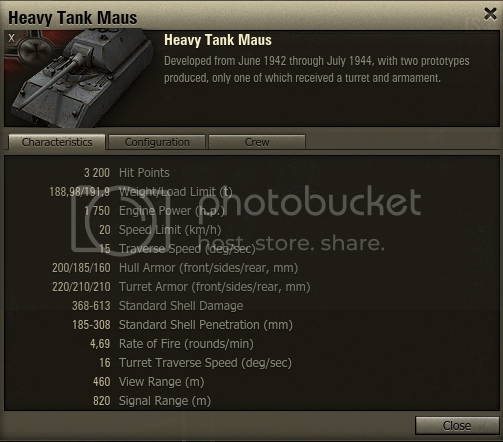 9,26 hp per ton, at least the maus keeps its 20km/h almost constantly . Great radio! What more can I say. The turret is very heavily armored and only tier 9 guns have a chance of penetrating it frontally. Do know that you MUST slope it in order to bounce tier 10 guns. Accurate, good damage, slow RoF and decent penetration. Not a bad gun. Technically there is also another 75mm gun, but it will work ina future patch. 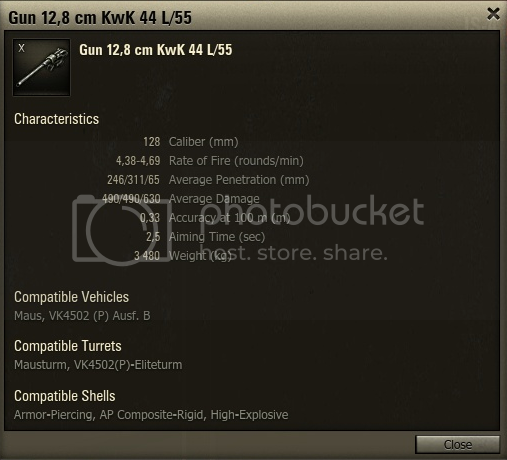 Do know it penetrates more with APCR than S70 with APCR, giving the Maus an edge in Clan Wars. The Mous has far more armour and hitpoints, but lacks the maneuverability of the IS7. Furthermore the Maus can’t hide very well since it has a pretty big profile, unlike the IS7 which is far smaller. The Maus also has a more precise gun, but lacks the penetration of the IS7. 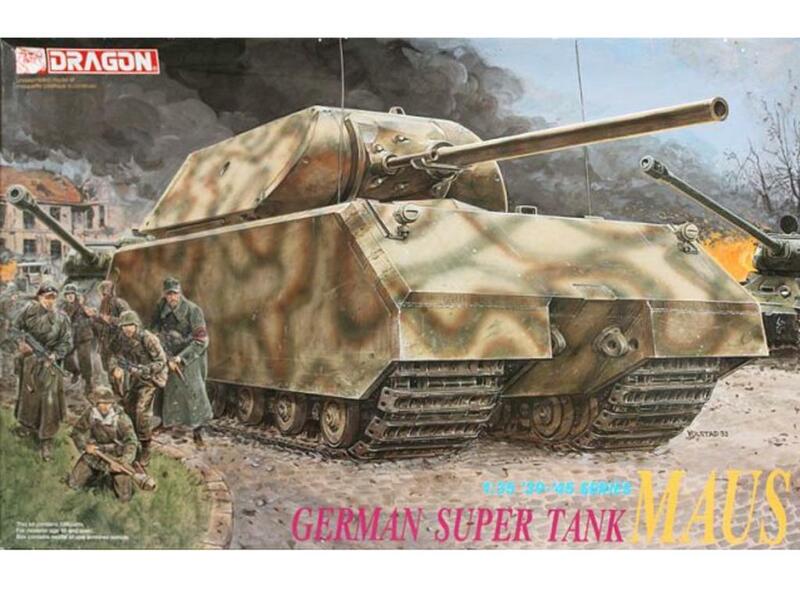 The Maus has armour, which the T30 traded for its god-killer gun. The T30’s gun is perhaps the most serious opponent for the Mous since, several shots will wreak havoc on the tank. Historically the Pz. VIII Maus never saw action. The Germans only managed to build two prototypes by the end of the war, one of which without a turret. When the soviets closed on the Kummersdorf (say it angrily! Feel German! jk) facility where the two prototypes were housed, the Germans managed to successfully scuttle the completed one. When the facility was in soviet hands, the turret from the destroyed tank was moved to the still intact hull of the other prototype. The tank was then taken to the USSR for tests. However, the soviet tank bureau deemed such a heavy tank worthless in the soviet tank doctrine, which demanded tanks to be around 50-60t at most. The prototype survived the Cold War and is now kept at the Kubinka Tank Museum. - If the Maus had entered service with the Wermacht it would have had absolutely no effect on the war, in fact it would have helped the allies. It would have diverted precious resources from the construction of much more effective German tanks like the Panther. A 200t tank would have been a profound target for allied aerial attacks and a 200lbs. bomb would have send the tank and its crew into the grave. The tank’s weight also meant that it would have been unable to travel along most of the bridges in Europe. Another problem that would have plagued the Mous is the suspension. The suspension of tanks like the Tiger I and II was unreliable, that of the Mous would most likely have broken every 5 minutes. I drove the Maus in Beta and its a beast if slow. Maus has thicker armor all the way around with 185 on sides and something like 160 on rear hull with about 200+ all the way around the turret. NOW. if both machines are supported with team mates then you have the makings of a epic brawl. But if a maus and T95 are on the same team and supporting each other? can you say unstoppable forces (massive guns) equiped with immovable object grade armor? they could defend an area from anything bar a massive arty bombardment or a all out attack by a full team of 15. Assaulting a position the Maus is infact tall enough to shoot over the T95 at targets at range doubling the firepower facing forwards. The Maus and T95 are massive titans on the feild of battle and both are very powerful in the right hands. but together they are even better. Nice post. Not much more to say, you've got it right for pretty much everything, though I don't agree with chaning the damage of the 128. Game is far more balanced with the IS4/7 and VK45/Maus doing the exact same damage. That thicker armor of the T95 has holes in it, unlike the maus, which no longer has any. It also has 1500 less health. A maus will win 1v1 vs a T95 every time, a fact which is not relevant at all. Got confused with this tank, really can't figure out its play style, if I push, no supporters, if I don't, people will blame me(I always pushing, just assuming people will do so), sometimes I just push in a way by myself, I'm not bossy person, never press "follow me" button, still couldn't win the game when I did every thing in right way(my statistics is not too bad on this vehicle, but still depress me a lot), what shall I do? Tell people worry about their own freakin tanks. The Maus is notorious for having backseat drivers, most of which have no clue how the Maus really is. They expect you to steamroll the entire enemy force solo, and we all know that is just not the case. Never charge off alone, and never charge deep (giggity). The best effective role you have, is front line support. Follow the heavies to the typical heavy vs heavy confrontation zone (every map has one) and wait for them to show up. Try to ensure you have proper cover from arty since you are the number one arty magnet of all time. Now you're a sniper. Pick which ever target is playing peek a boo and wear them down one by one. Once several (or majority) of their heavies are dead on that side, that's when it's safe to push and you can usually steamroll to victory. Now if you set up in the normal place and the bulk of the enemy force is taking a different route, then push and push hard towards enemy cap IF there's at least a decent enough force to keep the enemy force out of your cap long enough for you to get to their cap. But if it's 6 heavies vs 1, then fall back to defend. You should think "Oh, The Maus is a moving fortress with a 128MM Cannon on it"
+100 on the back seat drivers, sheesh. its a fun tank to drive if you totally ignore chat whiel your doing it. I was in a game with two Mause on... the map with the sort of island in the center, whose name I can't remember. Put Spall Liner on it, and you'll live for a whole 2 more seconds! Thing I love about the maus is I can ignore most people tier 7 or below. If used right the Maus is the BEST tier 10 tank for a multitude of reason. A few things I noticed that people fail to overlook about the Maus. It's damage is the team that is behind it. It's primary strenght is it can drive into fire, absorb tons of shots, and allow teammates to fire without having to worry about being shot because the maus has stolen the spotlight. Also if you shoot at the weak spots on the front of the IS7 and the T30 you can kill them VERY easily compared to the huge PITA they are going to have killing you if you turn your maus at a 45 degree angle. On my maus I run, rammer, tool box, and spall liner. My crew is at 100% repair skill so my tracks come back in 2 seconds flat. I've had people die against me cause they thought they could track me and try to flank me in order to kill me. I've taken on multitudes of types of mediums by myself and come out on top many times. I've also taken on IS7's solo and killed them. The only thing I fear now is a good enemy arty player, a good wolf pack of mediums, a hulled down t30, and a good tier 9 TD player. Other than that most other things don't concern me. I think that we can all agree that this guy needs to uninstall ASAP. if I push, no supporters, if I don't, people will blame me(I always pushing, just assuming people will do so), sometimes I just push in a way by myself, I'm not bossy person, never press "follow me" button, still couldn't win the game when I did every thing in right way(my statistics is not too bad on this vehicle, but still depress me a lot), what shall I do? This. So pissed off with people who blame me for losing a battle. I am one tank in a team of 15. Your flank of heavies failing on the other side of the map is not my fault. See sig. Maus is a force multiplier. what if there were repair and recovery vehicles? lol you could turn ur back on a Maus as modified 2802s come in and repair the Maus fully!